It’s that time of year again! 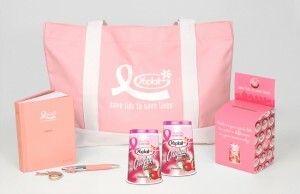 Yoplait is donating money through Save Lids to Save Lives,to the Susan G. Komen for the Cure. I love Yoplait yogurt!! Both of my children love it too! the most popular flavor – French Vanilla! That’s about all I buy now. Yoplait will donate $.10 for each pink lid redeemed both online at Yoplait.com and via mail by December 31, 2011, up to $2 million. Online!!?? That’s cool, I like that idea, but I need to go online to see how it works. This year, Yoplait is also tracking pink lids redeemed by zip code to make sure funds generated from your lid collection go back to local breast cancer programs in your community. Want a coupon? Get a printable coupon for $0.30 off any (1) variety Yoplait Yogurt cup (Includes Original, Light, Thick & Creamy, OR Whips!) . I like this coupon – $.30 off one!! That’s awesome!! During the past 13 years, Yoplait has donated more than $30 million to the breast cancer cause through all of its breast cancer initiatives. Yoplait and MyBlogSpark sent us a really nice gift pack with 2 free Yoplait yogurt products, a little collection box for our lids, a book, pen and bag. MyBlogSpark and Yoplait would like to give a prize pack to one Mommy Has to Work reader, as well! 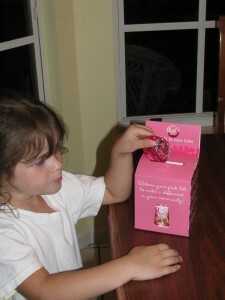 I received product from Yoplait through MyBlogSaprk to facilitate this review and they will offer the pack to giveaway. My opinions are my own – we love Yoplait! I like peach and I do collect them. my favorite flavor is strawberry & YES we collect the lids!!!!!!! My favorite is Strawberry and I plan to collect. My favorite flavor is Yoplait Lite in Key Lime Pie and yes we collect. 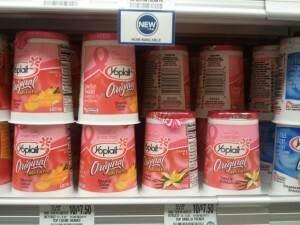 I love Yoplait Lite in Key Lime Pie and our family plans to collect as we have a breast cancer survivor in our family. My favorite flavor is strawberry and I will be collecting lids for our Mom’s Club. My favorite flavor is peach and I’ve not started collecting yet. My favorite is strawberry-banana and I collect at home and work! I love strawberry and I do not collect. My favorite flavor is Orange Creme. I haven’t collected but will now that I’m aware of it. Thanks. I collect and I love peach! My favorite is Strawberry – I have not collected so far but now I will. Thank you! I haven’t started to collect yet, but will. My favorite yogurt flavor is always Strawberry Banana.